The 2010 Grand National Day saw more winners than just Tony McCoy at Aintree. At Nunholm the battle between the sections for the Dumfries Sports Club Question of Sport Trophy for 2010 went to … the Cricket Section. A big thank you to Carol and Dougie Brotherston for their organisation, to Trevor Newport as Master of Ceremonies and to Peter Allan for the cinematics and also to Alan McCulloch and Scott Dunbar who took on the task of scrutinising and scoring the answers. 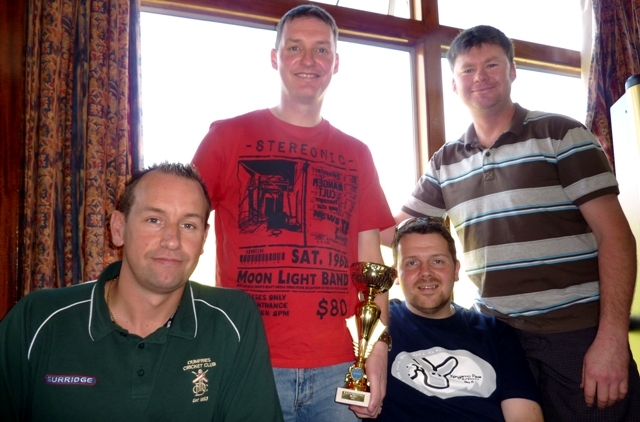 The winners of the unofficial Question of Sport quiz were “The Cricket Legends”. Then it was on to the big money event, the Grand National Sweepstake.